The uniforms worn during the Gozer battle had too much ectoplasmic radiation and needed to be destroyed. Peter (ironically?) was suppose to take care of this, but didn’t. By the time he realized he still needed to the ectoplasmic uniforms had absorbed more PKE from the new Ectocontainment Unit because of a small leak. The PKE imprinted on the Ghostbusters uniforms, becoming green, ghostly versions of The Real Ghostbusters. They even copied the proton packs! 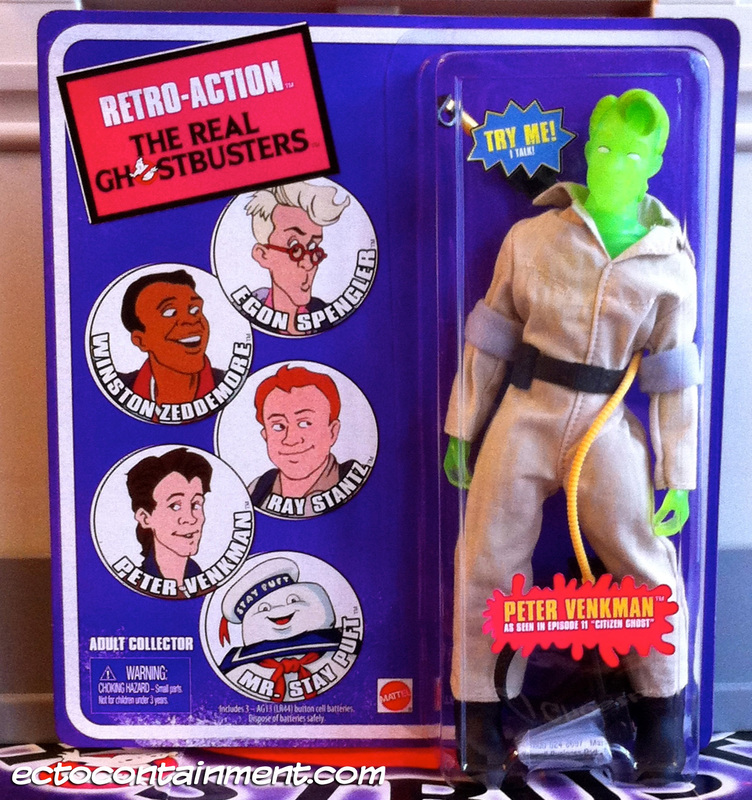 This Retro-Action The Real Ghostbusters Spectral Peter has a spectral, translucent head and body. It also wears a khaki (movie style) flightsuit. Retro-Action Citizen Ghost Spectral Peter includes an accurate Ghostbusters proton pack. It even has the right number of cyclotron lights, just like the movie. Only thing that would have made Retro-Action Citizen Ghost Spectral Peter better would have been to have had a translucent green version of the proton pack like all four spectral Ghostbusters or anti-The Real Ghostbusters wore in Citizen Ghost.